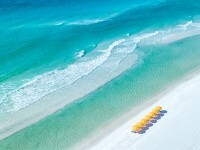 At Hilton Sandestin Beach Golf Resort & Spa we are inspired by our scenic South Walton surroundings every day. 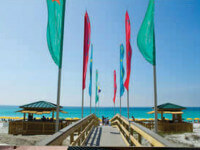 Our resort near Destin, Florida is surrounded by white sand, emerald waves, green palms and more. We’re also just a few minutes away from beautiful parks, hiking trails and rare Coastal Dune Lakes — true natural wonders. 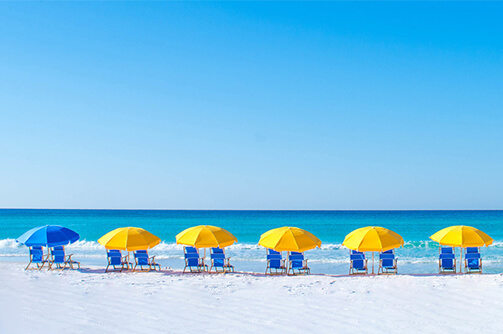 It’s no wonder that vacationers flock to our Florida beachfront resort for rest, relaxation, inspiration and more. From the moment our guests arrive to the moment they close their eyes at night we want them to feel engulfed by the iconic views surrounding them. That’s why our rooms and interior design elements are inspired by our local scenery. 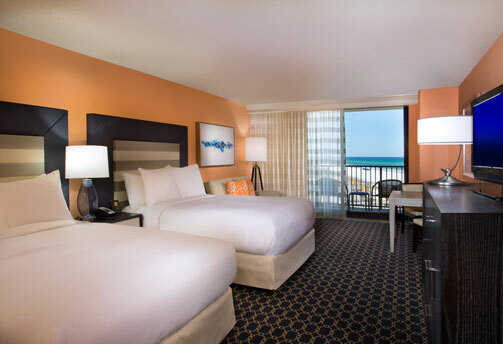 The interior of our Destin-inspired resort rooms in the Emerald Tower are as beautiful as the beach views guests enjoy from their private balconies. 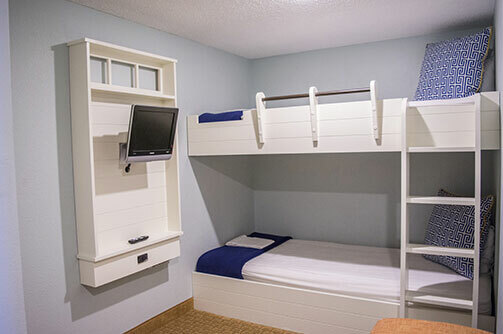 In these rooms, you’ll find interior elements that match the color of the sand and waves outside your window. Calming hues of blue, natural wood tones and more help guests feel instantly relaxed and connected to the nature around them. Whether you’re enjoying a leisurely breakfast from our in-room dining menu, getting ready for an afternoon pool session or settling in for a restful night, you’ll feel the bliss of the beach all day long. Our Spa Tower rooms are the ideal location to take in a sunrise or sunset. That’s the beauty of our Florida beachfront resort — guests enjoy inspiring colors over the Gulf of Mexico from dusk until dawn. In Spa Tower rooms, guests find tones of yellow, orange, purple and pink that match the warm colors of a beachside sunrise or sunset. 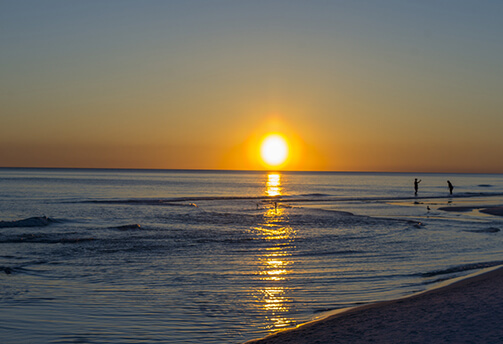 If you’re staying in one of our Spa Tower rooms, we highly recommend chasing the sun morning and night to see these beautiful Destin resort scenes for yourself. The Spa Tower is also the perfect setting for a romantic beach vacation. After all, what couple doesn’t want to enjoy the colors of a beautiful sunset all day long? 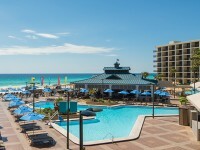 Find yourself daydreaming of Gulf waves during a conference at our Florida beachfront resort. 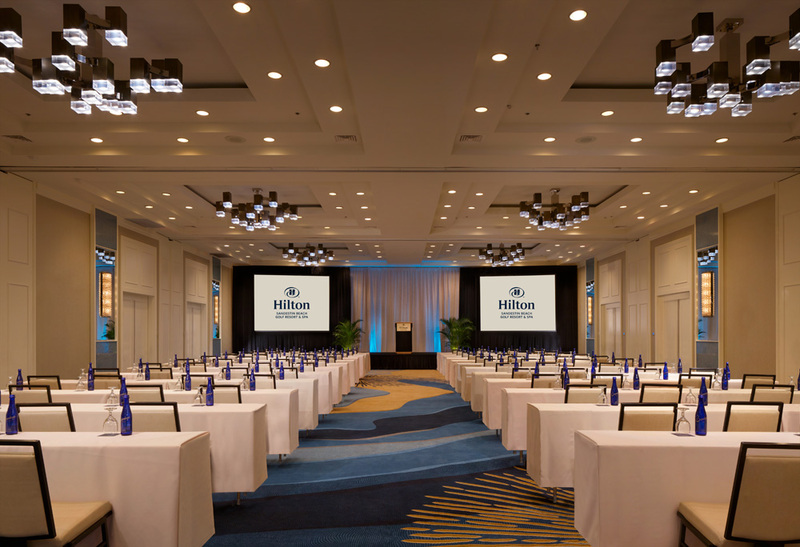 We have a variety of flexible meeting spaces that are not only functional and well-equipped for group events, but also decorated to match the look and feel of the Destin-area. Our resort meeting spaces feature inspiring design elements, like wave and coral-inspired carpet design and sand dune-inspired chandeliers. Whether you’re at a networking event, keynote speech, or corporate luncheon — you’ll feel like you are outside surrounded by the beauty of the beach. No matter if you visit us for business or pleasure, our Florida beachfront resort is sure to inspire you with design elements that reflect our unique surroundings. 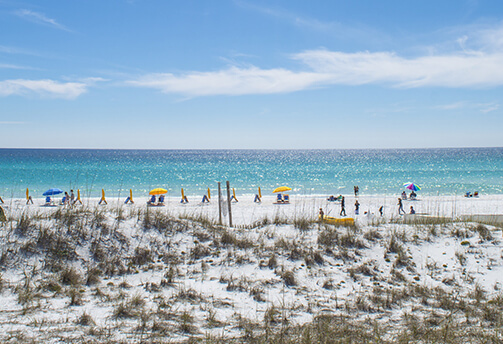 From the rare natural wonders in South Walton to the iconic beach views in Destin, our resort remains true to its roots.